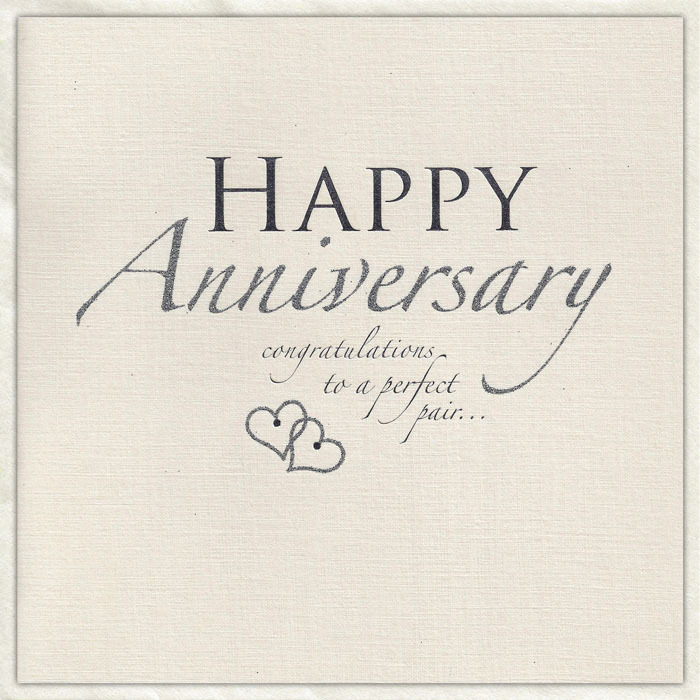 Happy Anniversary is a simple, sophisticated card with a touch of class. Silver foil and silver glitter on silky, ivory board. Luxurious.